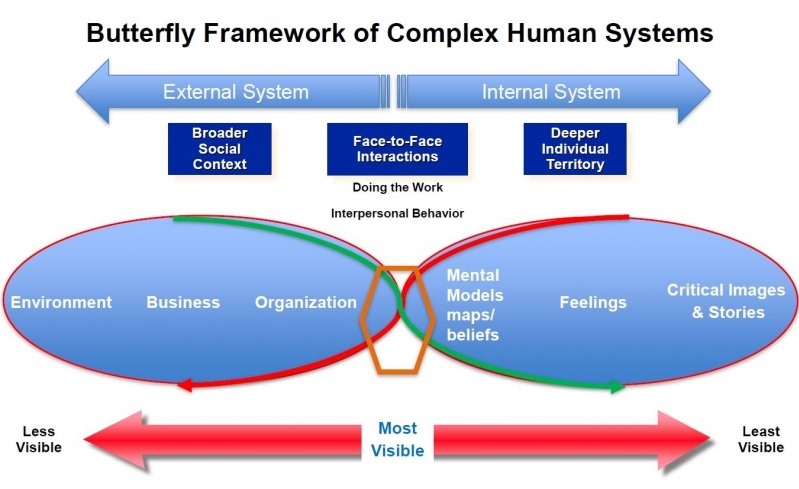 Thanks to Vicky Schubert and Anne Starr for presenting this Butterfly Framework to BFR members in Dec. 2014; kudos to Steve Ober and SOL friends for helping to develop the framework. 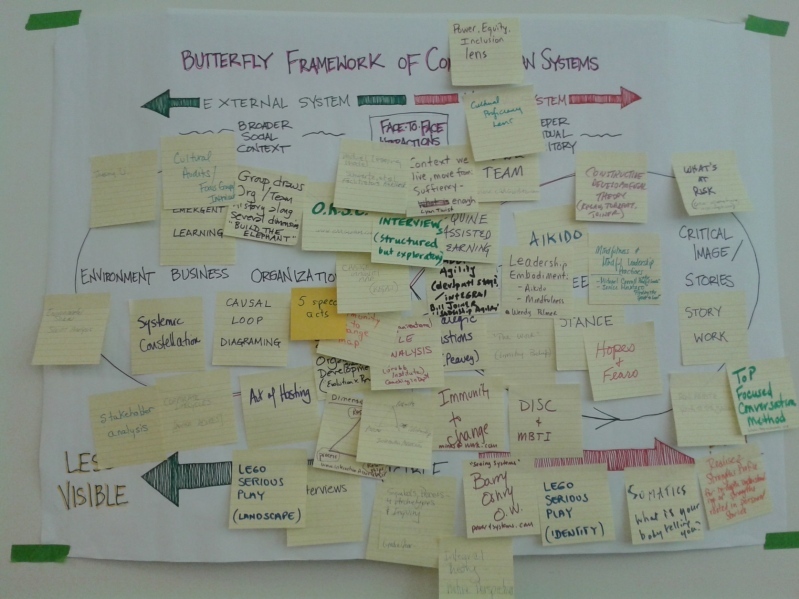 In the workshop we identified the many tools that we all use, and placed them on the butterfly diagram according to the siting of the intervention - whether we're intervening at the business level, dealing with mental models, or feelings, etc. You can make out some of the post-its; down below is a text listing of the models. Theory U Cultural Audits Group draws org/team history along several dimensions; build the elephant Mutual Learning Model; Schwartz et al, Facilitators' Fieldbook Context we live, move from; Sufficiency - Lynne Twist Aikido Somatics; what is your body telling you? Systemic Constellations Corporate Lifecycles (author: Adizes) LEGO Serious Play (landscape) Organizational Role Analysis (Grubb Institute) Coaching in depth Strategic Questions (Peavey) DISC & MBTI Ron Heifitz, "going to the balcony"